The official reference documentation is really excellent : clear explanation, useful examples, but as a reference documentation, a lot of details are presented right from the start, with numerous repetitions that it can become annoying to read it. This book is different. As the title suggests, this book will guide you from novice to expert through a really well-written book. 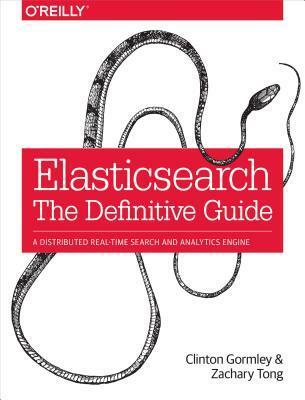 Part 1 covers the basic tools in just enough detail to allow you to start using Elasticsearch. Each concept is introduced progressively, before being developed in its own chapter later in the book for a smoother learning experience. Part 2 and 3 highlight the complexity of searching, providing the right balance between theory and practice. Each of the topics covered such as stemming, synonyms, multilingual, is perfectly illustrated with clear real-world examples. Part 4 dives into an important subject by presenting the aggregations, the feature on which Kibana is build (Note: Kibana is not described in this book), while Part 5 ends the tour of Elasticsearch features with an really useful and powerful one: the geolocation. Part 6 discusses best practices, so at the end of this book, you will have a solid understanding of search theory and how to model your documents efficiently in Elasticsearch to face the challenges of searching semi-structured data. A must-read for developers! What I preferred the most is the numerous optional chapters to dive into the inner working of Elasticsearch. The richly illustrated explanations of the scoring calculation are a must! This is exactly why I prefer read lengthy book over often more concise official documentation. A highly successful technical book! Please not that the book is published in Creative Commons license and an updated edition covering the version 2.x is available from the official site along the reference documentation.